Dry ingredients are blended with oil and sugar to form a mass. 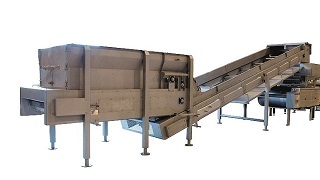 The Live Bottom Bin then provides a metered feed to a feeder / spreader unit via an elevating conveyor. 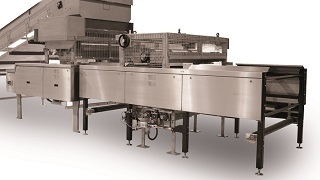 Comprises a hopper and two contra-rotating feed rolls to create a loose sheet of constant thickness that is laid onto the oven band. Provides a final consolidation and gauging of the sheet before the oven. Removes moisture from the product and causes the sugar to melt. Binds the mass together to give the characteristic baked granola crunch. The sheet is slit and guillotined into bars. 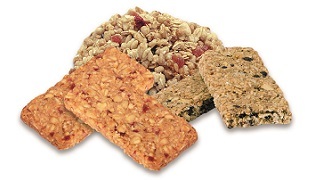 Baker Perkins offers complete lines for the production of high quality baked granola bars. 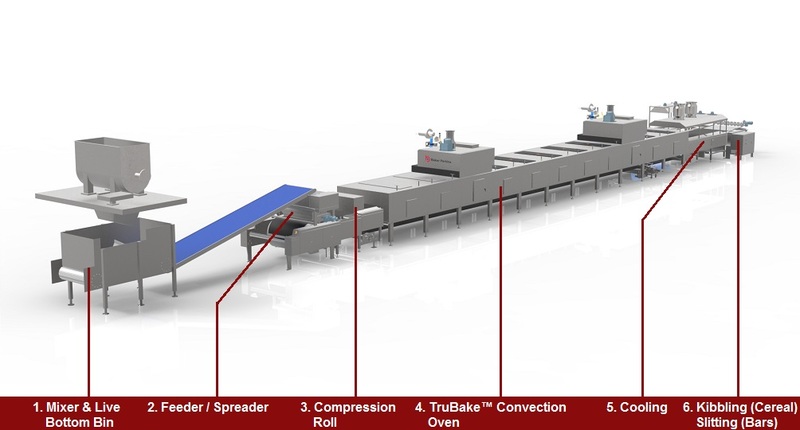 The process involves mixing, forming and baking of a continuous sheet that is slit and guillotined into bars. Crunchy granola is made by baking and cooling a loosely compacted sheet of ingredients. 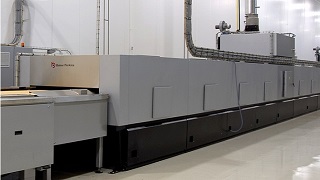 The process relies on gentle handling and accurate heat transfer to achieve the ideal balance between product quality and efficient production. 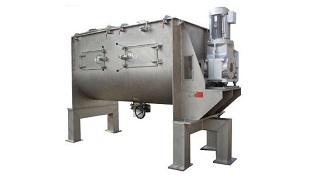 The mixing process involves blending dry ingredients in a batch mixer and then metering them into a continuous mixer along with oil and sugar to form a mass. The dry ingredients are mainly oats, although other grains or dried fruits are often added. 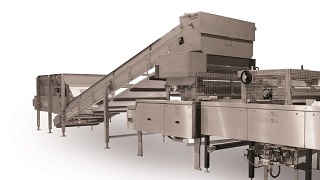 The mass is placed directly onto the infeed of the oven, where a spreader evenly distributes it across the full width of the band. A compression roll provides a final consolidation and gauging of the sheet before baking. The heat transfer process removes moisture from the product and causes the sugar to melt. Colour and texture of the final product are determined by the combination of temperature and time chosen. Assisted cooling at the oven discharge binds the mass together to give the characteristic granola crunch. 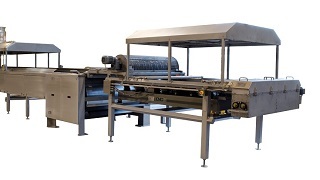 A slitter and guillotine after the cooling divides the sheet into individual bars, which are then conveyed to the wrapping machines. 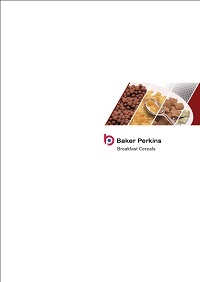 View some of the granola products that can be made on Baker Perkins' process lines.